You can easily add, edit the tags, prioritize your test cases, duplicate to reuse and check the logs of test cases. 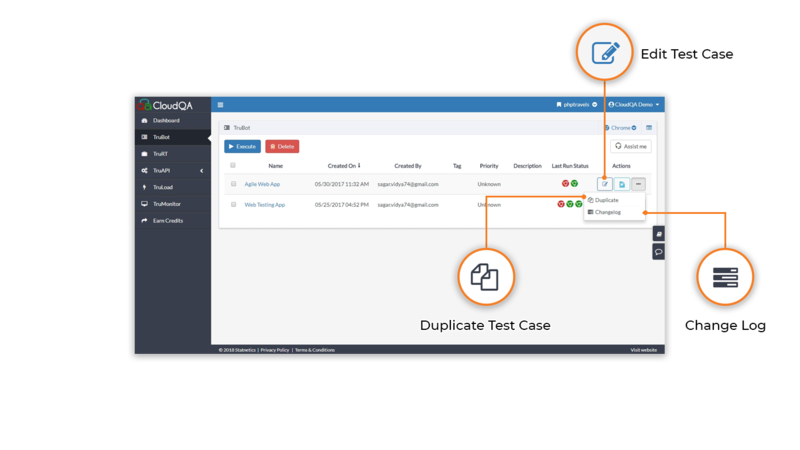 CloudQA allows duplicating of your test case. If you are not sure of changes made to your test cases, you can duplicate test cases and use the original as a back up.